We are committed to ensuring that your privacy is protected. Should we ask you, when using this website, to provide certain information by which you can be identified, such information will only be used in accordance with this privacy statement. This policy may change from time to time and, if it does, this page will be updated. You should check this page from time to time to ensure that you are happy with any changes. This policy is effective from March 12, 2012. If you request us to do so, we may periodically send promotional emails about new products, special offers or other information, but, again, only if you have requested that your email be included on such a mailing list. We will not send you information unless you explicitly request such information. We are committed to ensuring that any information you provide us is secure. In order to prevent unauthorized access or disclosure, we have put in place suitable physical, electronic and managerial procedures to safeguard and secure the information you entrust to us. 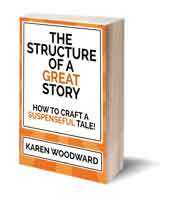 karenwoodward.org may contain links to other websites of interest. However, if you use these links to leave our site, you should note that we do not have any control over other websites. As a result, we cannot be responsible for the protection and privacy of any information which you provide while visiting such sites, and such sites are not governed by this privacy statement. You should exercise caution and look at the privacy statement applicable to the website in question. If you believe that any information we have concerning yourself is incorrect or incomplete, please email us as soon as possible at karenwoodwardmail (at) gmail (dot) com. We will promptly correct any information found to be incorrect. 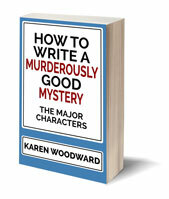 Thank you for reading and for your continued participation on karenwoodward.org.